Worrying about your belongings at home? Tired of paying a huge energy bill? Is the furniture in your house not what it used to be? There are huge benefits of window film for both your house as well as your car. As a company with over thirty years’ experience in the window tinting industry, we’ve seen all the problems and heard all the complaints about non-tinted windows. One reason why our clients often have their windows tinted is for glare. A non-tinted window can give you glaring issues, especially in cars, where you need to be able to see clearly to avoid an accident. Tinting your car windows can help you be safer on the road by reducing the glare from your windows. Also, residential window tinting can improve your home-life – this is due to electronic screens often getting glares from the light, as they also use glass or glass-like materials. Tinting a home can allow you to be able to watch TV, look at a mobile screen, or use a computer, without having to worry about glares affecting your enjoyment. One of the most common problems with windows, when it comes to living situations, is privacy. 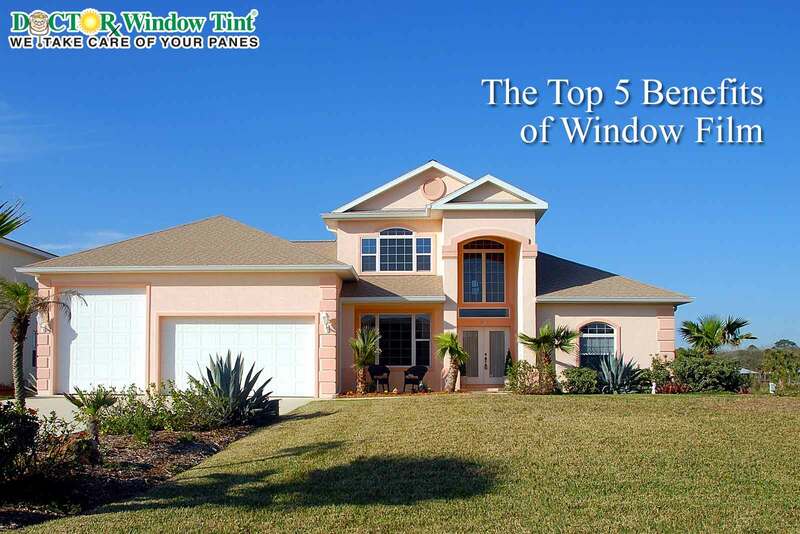 By tinting windows, you don’t have to worry about people looking into your home or office. The tint, depending on what type you buy, can completely obscure your interior home from outsiders, while giving you the exact same brightness. This also improves safety and privacy, as obscuring your windows makes your furniture or valuables unseen. Tinting your windows also provides protection from UV rays, both for your furniture and you. Aside from leather furniture drying or aging due to the UV Rays, decorations, such as art, photos, rugs, wallpaper, and even floorboards can either suffer from color loss or material breakdown from unprotected sunlight. A window tint can protect you and your belongings from the harsh damage caused by UV rays. If you ever get high energy bills due to you A/C constantly running then maybe it’s time to get your home or office windows tinted. Tinting can reduce the amount of heat that comes into your home from that hot South Florida sun therefore reducing the need for you’re A/C. In fact, this energy life saver is quite useful, even Florida Power and Light recommends tinting your windows for this reason! Another great benefit of having your windows tinted is for aesthetics. This may seem an uncommon reason, but it still has some impact, particularly when selling or buying a house. It shows buyers that you’ve taken the time and effort to invest in looking after the property. These are just a few of the benefits to having tint installed on to your windows. If you are a South Florida local and would like to make sure your car, home, or office is protected from the sun then we are here to help. Make sure to call us on (305) 827-8468 if you have any questions or want to set up an appointment. After all, we take care of your panes so you don’t have to!